Another ‘get on down’ album of 11 tracks that have a Funky feel to them. Laid back but with a funky groove. Crisp wah-wah guitar licks and riffs are used extensively combined with Rhodes electric piano phrases blended perfectly with hypnotic rhythms created using combinations of real drums and a variety of percussion instruments. 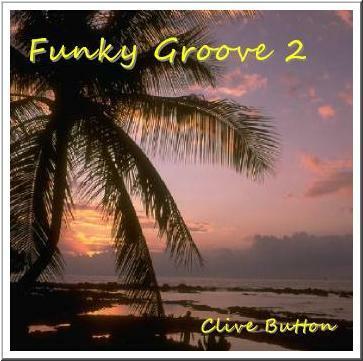 This collection of funky tracks still fits firmly within the ‘Lounge Music’ category as tempos are basically laid back while maintaining that definite funky rhythmic content. You will hear sax, flutes, trumpets, complete brass sections, strings and keyboard instruments of many varieties as well as a number of female vocal lines and phrases. Beyond these real instruments are a myriad of entirely new and original sounds created from combinations of synthesizes and sequencers processed through effects devices of numerous varieties. Funk never looked so good or so varied with tracks such as Spanish Funk that kicks off a funky groove from a real Spanish guitar rhythm all the way through to Here we go where Funk meets Reggae. Many of these tracks feature musical quotes and sonic references to a variety other styles including dance, funk, hip hop and R & B and jazz.